Product prices and availability are accurate as of 2019-04-19 12:20:21 UTC and are subject to change. Any price and availability information displayed on http://www.amazon.com/ at the time of purchase will apply to the purchase of this product. 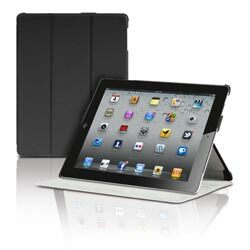 Protect your New iPad and showcase its best features with the Photive Smart Cover Portfolio Case. 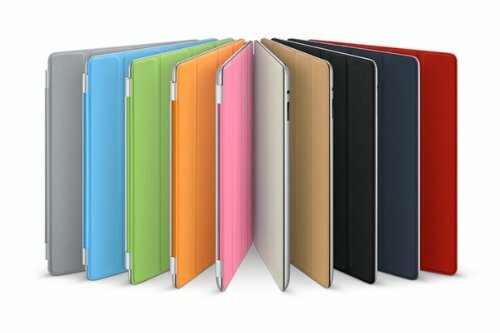 Featuring a magnetic cover designed specifically for the 3rd generation iPad, this folio case supports the sleep/wake function. It also transforms into a supportive base for typing and a stand for watching video. 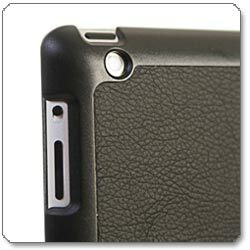 Snap locks hold your iPad 3 securely in place, while elegant textured material keeps you looking professional and sleek. Additionally, the lightweight design complements the iPad 3's slim form factor. Protective case transforms into a supportive base for watching video. Folding the cover creates the ideal angle for typing. View larger. This case features a built-in magnet for automatic sleep/wake activation. 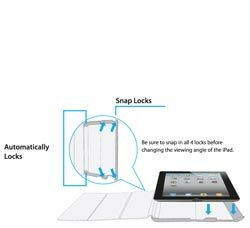 Simply peel back the cover to wake up the iPad 3 and close it to put the device to sleep. You won't have to worry about draining the iPad's battery while the case is closed and you'll be able to use the device from the moment you open the cover. 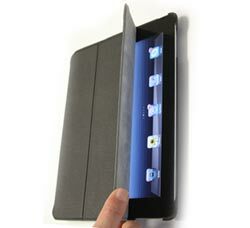 The case provides secure support for multiple viewing positions. By simply lifting the folio cover and folding its sections into a small triangle, you'll form a typing angle ideal for writing emails or surfing the web. You can position the case at multiple upright angles when you want to watch video or read the news. The case's back corners work as supportive notches; unsnap them to transform the case into a stand. 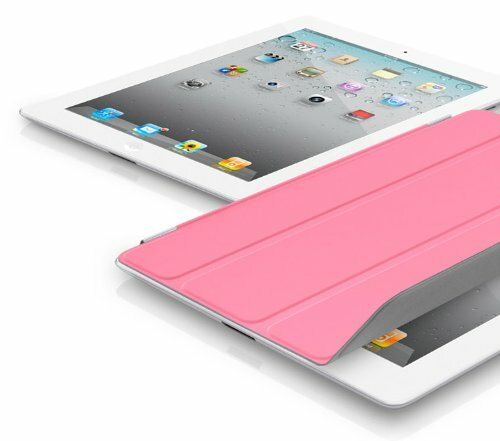 Weighing 7-3/10 ounces, the case doesn't add excess bulk to your iPad 3's slim profile. The case fits around the iPad snugly and securely and features well-placed cutouts so you can access the camera lens, speaker, and controls. Snap locks hold your iPad securely in place, while microfiber interior lining keeps the touchscreen safe from nicks and scratches. wakes your New iPad.View larger. 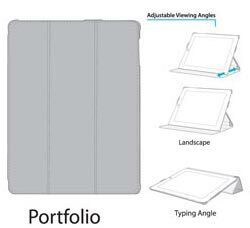 Features cutouts for iPad 3's camera lens, speaker, ports, and controls. 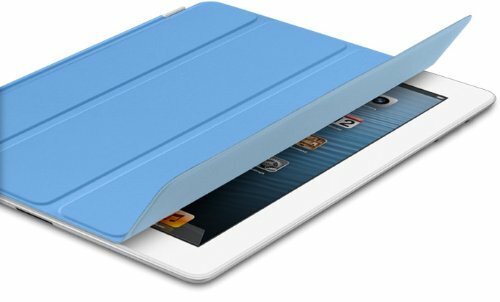 Photive designed this case specifically for the 3rd generation iPad to ensure that it works with all the iPad 3's features and cutouts and provides a custom fit. This folio case is made from durable scratch-resistant material and finished with premium stitching. The leather-like feel and stitching create a professional, executive-style appearance. The material itself is easy to grip and easy to maintain--simply wipe clean. The Photive Portfolio Case is compatible with the New iPad from Apple (aka the 3rd generation iPad or iPad 3) and is backed by a one-year replacement guarantee. Photive is a leading manufacturer and supplier of high-quality mobile accessories. The company was founded by a team of dedicated leaders with over 80 years combined success in the digital accessory industry. Designed for both professional and casual users, Photive's functional, durable products are well suited to the efficiency of today's technologically savvy world. Photive Portfolio Case for iPad 3.